Metrics every minute – get fresh information on the health and performance of virtual machines. Larger set of performance counters - performance counters on memory usage, web applications (including metrics like ASP.NET requests and TCP connections), and disks. 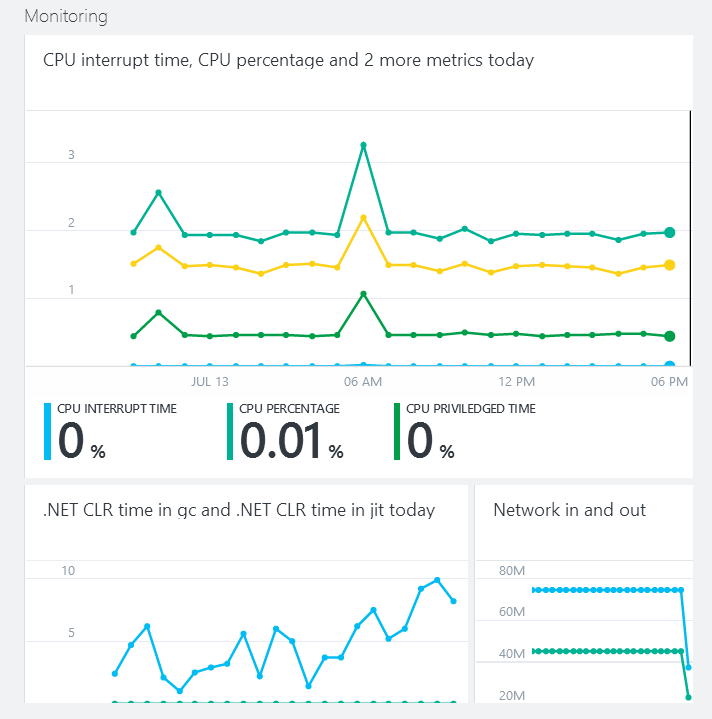 Alert on any of these new metrics – stay informed in case something goes wrong in your VM. Monitoring data is saved directly to your storage account - easily analyze your data with whatever tools you want, like Power BI in Excel.